Hugh is certainly staying occupied this Summer. 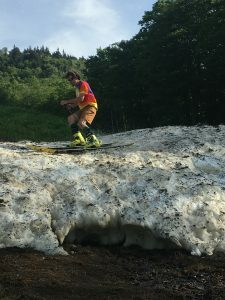 Here he is making some “turns” back in June. Mike Chait here, filling in for Hugh. Thought it would be a good time to remind everyone that the Winter season is approaching! That’s right. We’re 98 days away from our projected opening day. What are you doing for a pass this season? The Pass Store is now open and ready to lock in your super cool status as a Smugglers’ Passholder! Head over to check out the most affordable shred experience in Vermont. So, what are we doing for the next 98 days? My mother always told me the best way to pass the time is to stay occupied. Well, that’s exactly what we’re doing this Summer here at Smugglers’. Since Memorial Day weekend, we’ve been tearing up the dirt on our Mountain Bike trail network. Kids are loving the skills park, and so are their parents! We’ve got some fun MTB events coming up as well, including great times as usual at FallFest 2018. Tickets are going fast. Head here to pick yours up today! It’s been hot. So we’ve retreated to the mountaintops to relax with a cool breeze! It’s nature’s air conditioning, you know. In addition to all the great mountain hikes in the area, did you know there’s a brand new trail that’s wheelchair accessible, right in the Notch? Read more here. 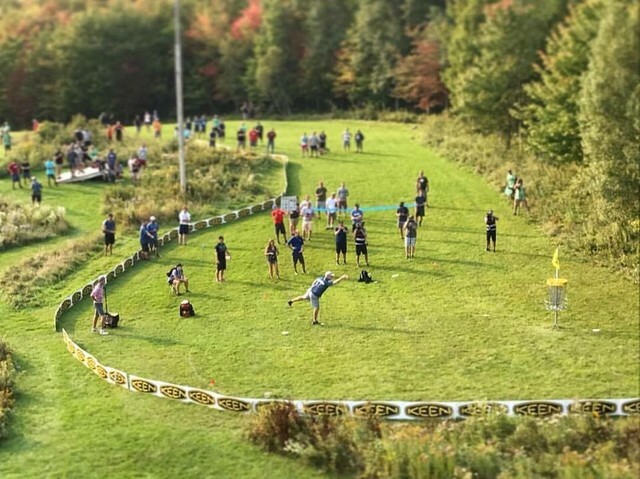 With two of the top 18 hole disc golf courses in the world, clearly, we’ve been out throwing discs quite a bit. The courses have never looked so good, with our crew working 7 days a week to prep for the upcoming PDGA Pro Disc Golf World Championships! Spectating is free, so get here to watch the top pros compete for the most prestigious title in disc golf. Events run from September 2-6, right here at the Smugglers’ Notch Disc Golf Center. Less than 100 days until Christmas! Is anyone cooking the snow up there? Its getting overcooked down here on Long Island!